Supreme Cleaning were set up in 2006 and have since then developed excellent relationships with a wide range of commercial clients as a first class provider of bespoke cleaning services. London and Kent are our main areas, and commercial carpet cleaning services are one of the main specialisations that we are proud to offer. We are experienced in carpet cleaning for all types of commercial venue, including offices, retail premises, pubs and restaurants, leisure centres, colleges, hotels and care homes, health centres and many more. First impressions count – which is why it is so important to have your business premises looking their best at all times. General wear and tear, dirty shoes, spillages or other accidents can all take their toll on your carpeted flooring. Unsightly stains and dirty patches are not a good look for any company. Supreme Cleaning can give your commercial carpets the professional attention and maintenance that they need. Having your carpets cleaned regularly will not only prolong their lifespan, it will keep your floors hygienically clean, improve indoor air quality for staff, customers and visitors and make your business altogether more presentable. 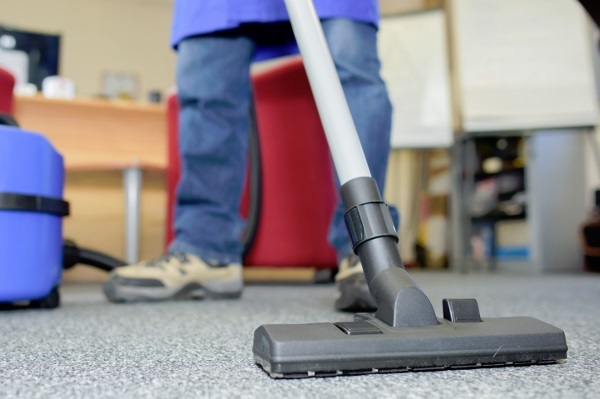 We can provide regular contracts and one-off specialist carpet cleaning services to deal swiftly with dust, dirt and grime build-up, as well as stain removal and deep cleaning. If you have a requirement for commercial carpet cleaning in London, Kent or anywhere in the South East, our cleaning operatives will come and provide a superb cleaning service. We tailor each contract to meet your needs exactly, dealing with any problem areas to gently lift out stains where necessary and leaving you with a clean and hygienic environment in which to conduct your business. At Supreme Cleaning, we provide professionally trained operatives to clean and maintain the carpets in your workplace. Our stringent recruitment and training process means that all operatives are reference checked and insured, and in-depth trained in all carpet cleaning techniques and equipment. We are confident that our high quality team of operatives can deliver first class results at every visit. We want our customers to be 100% happy with the reliability of our commercial carpet cleaning service. Should any staff member be off sick or on holiday, we will cover any absences to guarantee a continued top quality service level and standard of cleaning. For commercial carpet cleaning services in London, Kent and across the South East, Supreme Cleaning should be your destination of choice. We are fully committed to supplying experienced, trustworthy and capable cleaning staff who will provide excellent specialist cleaning services with outstanding results for your business premises. For your peace of mind, our supervisors carry out regular site checks to make sure our customers are completely happy with the service they receive. Furthermore, we like to hold regular 4-6 month review meetings with each customer to see if the cleaning spec needs to be amended. Of course, any customer query or request we receive will be dealt with as soon as it arrives, so if you have a sudden requirement for extra window cleaning or a deep clean for your commercial kitchen, just let us know and we will give you a discounted quote straight away. For more information about the best commercial carpet cleaning services Kent, London and the South East has to offer, please call Supreme Cleaning on 01322 384500 (Kent), 0203 0924777 (London) or 07774 606171 (mobile) or click here for a free no obligation quote.